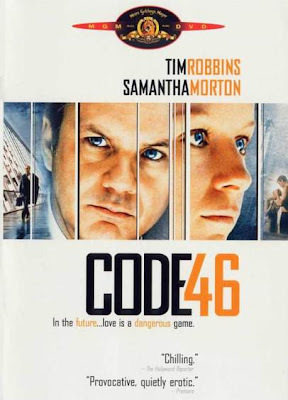 Set sometime in the not so distant future, Code 46 tells the cautionary tale of a highly regulated world where every action is closely monitored by the State, especially with respect to who one can or cannot marry. A married American man, who has come to a futuristic Shanghai to investigate a possible counterfeit racket in an organization, ends up getting romantically involved with a mysterious female employee working for it, oblivious of the fact that by doing so he might be violating “Code 46”, a law considered sacrilegious by the powers that be. 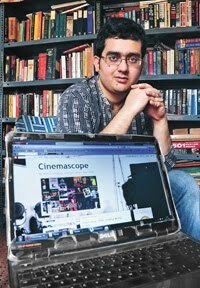 The film has been expertly shot – the set-pieces, lightings and shades used managed to the its moodiness, and also accentuate the themes of loss, memory and urban alienation. Tim Robbins too, as always, has done a noteworthy job as an actor. Unfortunately, the director didn’t pay as much attention in developing the characters and building the narrative as he did on the atmosphere. Consequently, though the sleekness and the visuals were good to look at, the film felt dehumanized and hollow, and thus failed to involve me, leave alone captivate me. In fact, I would go so far as saying that I found the movie a bit boring even. The two lead actors, too, were highly lacking insofar as a plausible chemistry between the characters goes. 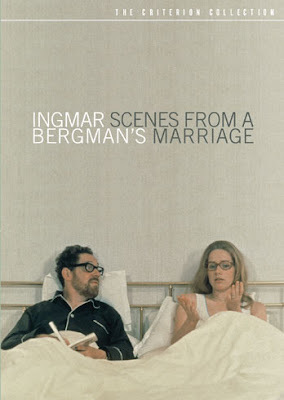 Originally intended as a 5-hour long TV miniseries, Bergman later cut Scenes from a Marriage to a more manageable feature length for theatrical release. The film begins with Johan (Erland Josephson) and Marianne (Liv Ullman), an upwardly mobile couple and seemingly in a wonderful long-standing marriage, getting to know over dinner that the relationship of two of their close friends have grown severely sour and are on the verge of divorce. Eventually Johan informs the strikingly beautiful but emotionally distant Marianne that he is leaving her for another woman. The film goes on to capture their on-and-off sojourn over the next few years. This remains a searing, intimate, layered and emotionally draining portrayal of the breakdown of their complex love-hate relationship, and the heavy toll it ends up taking on the two individuals. The movie, though verbose in nature and despite its discomfiting premise, managed to keep me engaged thanks in huge parts to the great script, tight editing, and of course, outstanding performances by the two leads. Josephson and Ullman are present in nearly every frame of the film, and they managed to captivate me in every single of them. Even Bibi Andersson and Jan Malmjo pitched in with blistering turns in their cameo as the warring couple. This uncompromising and disturbing examination of marital fallout remains one of the best works of the Swedish master, and formed the basis for Husbands and Wives, which in turn was one of Woody Allen’s best works. James Stewart starred in a number of Anthony Mann films, and The Naked Star is usually considered the their best collaboration. One of the early examples of revisionist Westerns, it is far removed from the good guy-bad guy story-lines typified by Classic Westerns. Stewart here plays Howard Kemp, bounty-hunter who isn’t just laconic but also prefers to be a lone wolf. 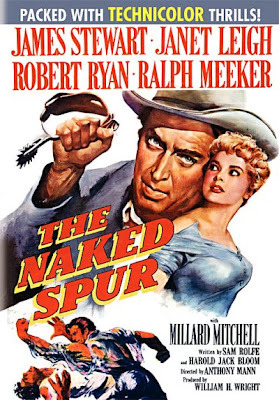 He is forced to enlist the assistance of an old brusque prospector and a young dishonourably discharged soldier, in order to catch hold of Ben (excellently played by Robert Ryan), a notorious and maniacal fugitive, take him to the concerned authority, and collect the ransom that has been declared by the state. 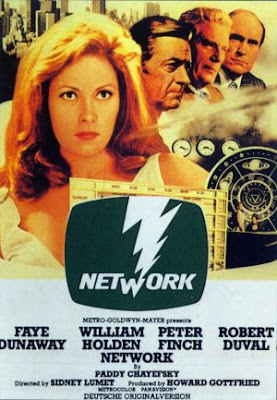 None of the characters in the film is flawless, consequently the journey of the group is made as much perilous by the harsh, arid landscape they must travel to, but also the intense psychological rivalry between the trio (on account of their inherent lack of trust towards each other) – the psychotic captive makes full use of the latter by continually supplying more and more fuel into the fire. Meanwhile, also tagging along with them is a hotheaded beaut (Janet Leigh) who happens to be Ben’s girlfriend; only that, over the course of their journey, she and Kemp start developing mutual feelings for each other. The crisp, violent film is therefore more about psychological warfare than actual fights, though it still boasted of some memorable action sequences culminating in a brutal climax. 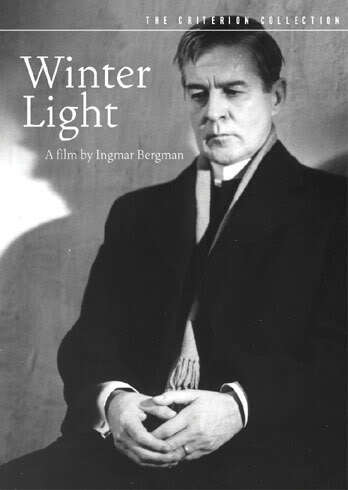 The second chapter in Bergman’s much acclaimed “Trilogy of Faith”, Winter Light is a fierce, austere and distressing examination on religion, faith and despair. This would rank as one of the starkest and bleakest films made by the Swedish master – that’s something given that Bergman was never known for making easy, audience-friendly movies anyway. The film has only three characters worth noting – Tomas (Gunnar Bjornstrand), a middle-aged pastor in a small rural church, suffering from a severe bout of spiritual crisis and emotional turbulence, and tormented by his inability to decide on god’s existence; Marta (Ingrid Thulin), a school-teacher and Tomas’ former mistress who’s almost devotional in her blind love for the seemingly cold pastor; and, Jonas (Max Von Sydow), a suicidal fisherman who somehow seems to the pastor as an extrapolation of his subconscious. Completely bereft of music and shot in static black-and-white, Bergman employed lingering moments of silence, long takes, uncomfortable close-ups, and a desolate surrounding to reflect not just “God’s silence” but also the complex and disconsolate state of the pastor’s mind. The fact that the pastor is a stand-in for the director himself, makes this harsh, superbly-enacted drama that much more poignant and powerful. Considered among the best works of the revered American filmmaker Sidney Lumet, Network was a prescient, tar-black critique of “trash television” and thus remains as relevant today as it was over three decades back. When a veteran news reader learns that he’s about to lose his job of 25 years, he falls off the hook and becomes the “mad prophet of the TV airwaves”. He initially creates embarrassment for his employers, however the tremendous ratings his prophetic slogan, “I'm mad as hell and I'm not going to take it anymore!” generates ensures he doesn’t just retain his prime-time show, a whole lot of crap gets added around him to spin as much money out of his sudden fame as possible. This trenchant satire is filled to brim with a host of superb performances – Peter Finch was absolutely terrific as Howard Beale, the tragic newsman who becomes a messiah for the troubled times and a mouthpiece for the generation’s angst; equally memorable turns were provided by William Holden as Beale’s long-time friend who’s forced to accept the madness around him with sardonic resignation, Faye Dunaway as a workaholic and insanely ambitious programming executive, Robert Duvall as the network’s scheming hatchet man, among others. Though the brilliantly written film divided critics and audience upon its release, its scathing indictment of all the lurid content religiously dished into our homes by the idiot box has elevated it over the years to the status of a modern day classic. Through a Glass Darkly was Ingmar Bergman’s first entry to what would come to be known as “Trilogy of Faith” or “Chamber Dramas”. This profoundly complex human drama is a deeply philosophical work filled with themes ranging from religious ambivalence to familial dysfunction to sexual awakening to clinical illness. The film comprises of just four characters – Karin (Harriet Andersson), a disturbed young lady who’s suffering from slow mental disintegration; her father David (Gunnar Bjornstrand), a famous writer who is studying her daughter with cold detachment; Martin (Max Von Sydow), her loving husband and a compassionate doctor; and, Minus, her emotionally fragile brother having difficulty in coming to terms with his adolescence. Shot in gorgeous black-and-white, largely bereft of music, and set in a single location – that of an isolated island, this is a searing yet poetically beautiful examination of human alienation and isolation (both emotional and spiritual), and the inherent godlessness of our universe. The film, in keeping with Bergman’s fascination with the dark recesses of the human mind, is filled with disturbing elements and subtexts (most notably Karin's complicated relation with Minus), all brought forth through immensely layered storytelling. 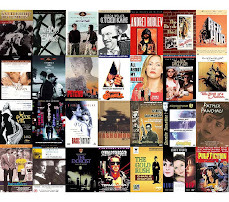 Great turns by the cast, especially Harriet Andersson, made the film all the more absorbing.